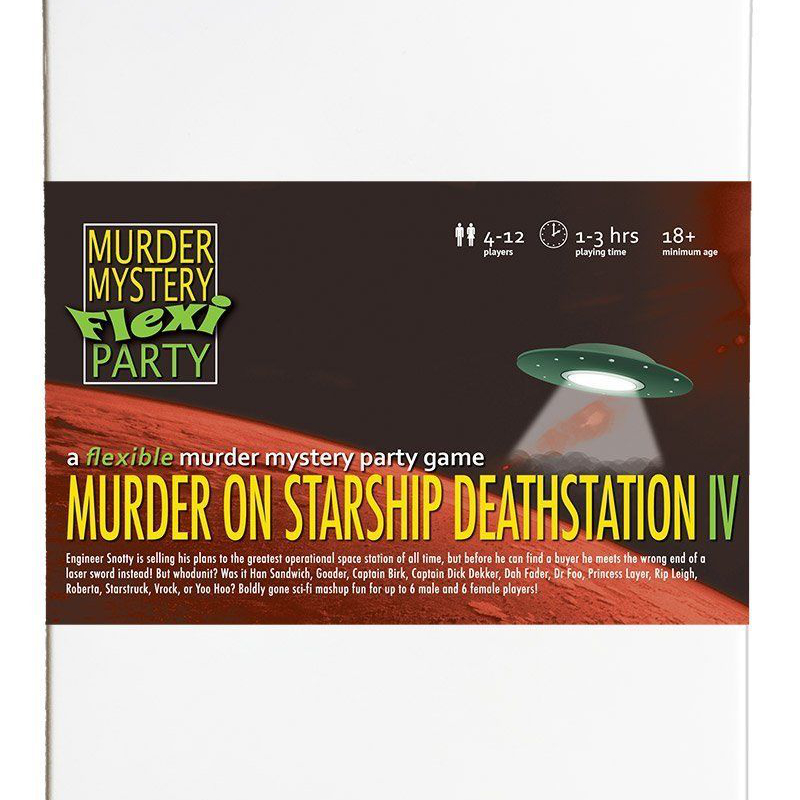 Murder on Starship Deathstation IV [Download] - �.99 delivered. Join our major sci-fi mashup homage, as Chief Engineer Snotty is selling the blueprints to his latest planet destroying space station! But before the auction can begin Snotty is found in the engine room, spliced in two! Host your own party to find out who turned Snotty into a red shirt! May the farce be with you! * Play with ANY number or combination of 4-12 suspects. DR FOO - A time travelling alien..? GUIDANCE : mature themes, innuendo and no profanity.